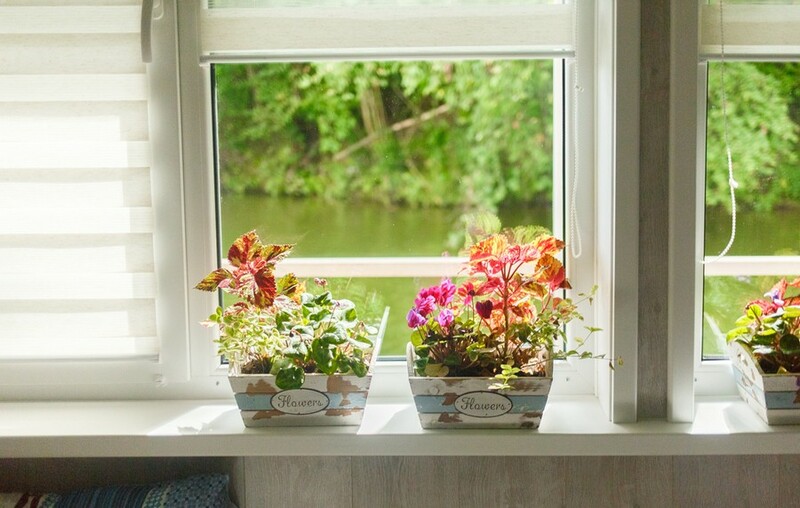 Many people dream about living on the shore of a beautiful sea or a picturesque lake. But laws of many countries do not permit to construct houses and saunas directly on the waterfront. 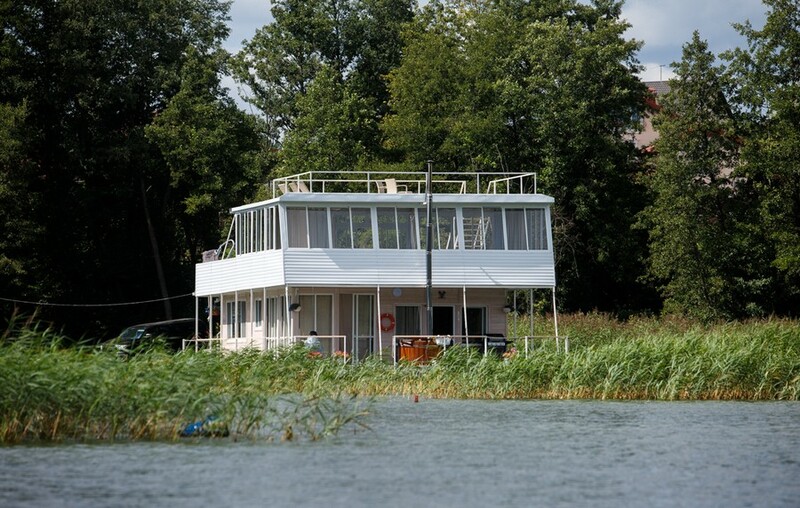 Still, there is a good alternative – why not build a house right on the water? In the eyes of the law it’s a floating non-self-propelled object, which means that you don’t need any special licenses and can sail around wherever you want. 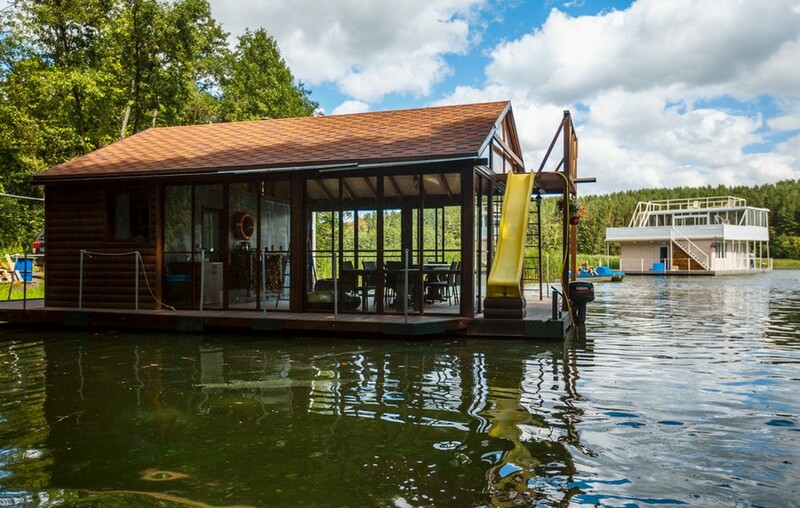 A float house, a houseboat – these are different names of the same construction. 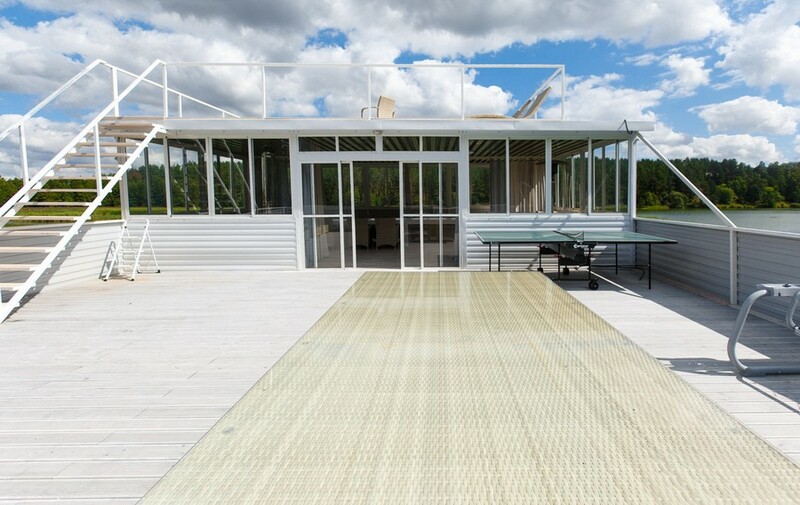 The most widespread model is a house on pontoons interconnected into a single floating platform. The building erected on such a foundation can look absolutely like its land-based brothers. 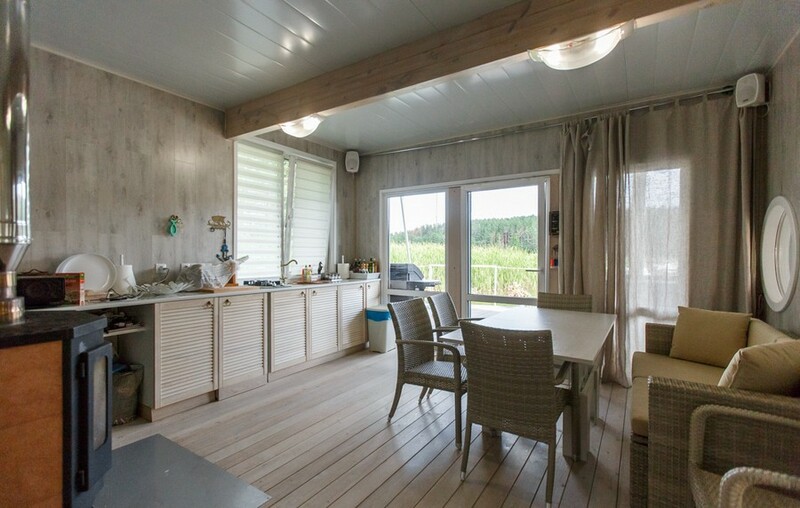 Such houseboats are very popular in the Netherlands, Belgium and France, but the role of the basement is usually played by old cargo barges. 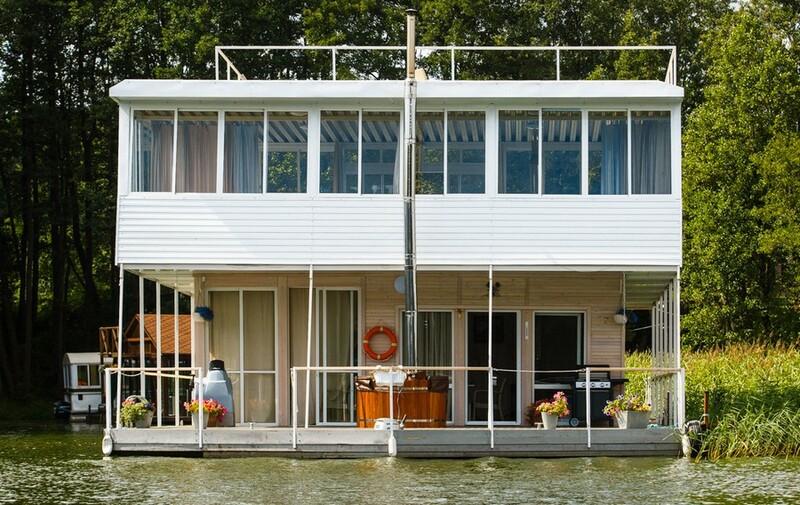 Even such celebrities as Pierre Richard and Gerard Depardieu are the proud owners of houseboats. The house appeared to be far bigger than the sauna, of course. The total area of its foundation is 180 square meters (19 m x 9.5 m). It floats on the water surface thanks to a special reinforced concrete foundation filled with extruded polystyrene foam. Steel channel bars join the pontoons into a single platform. 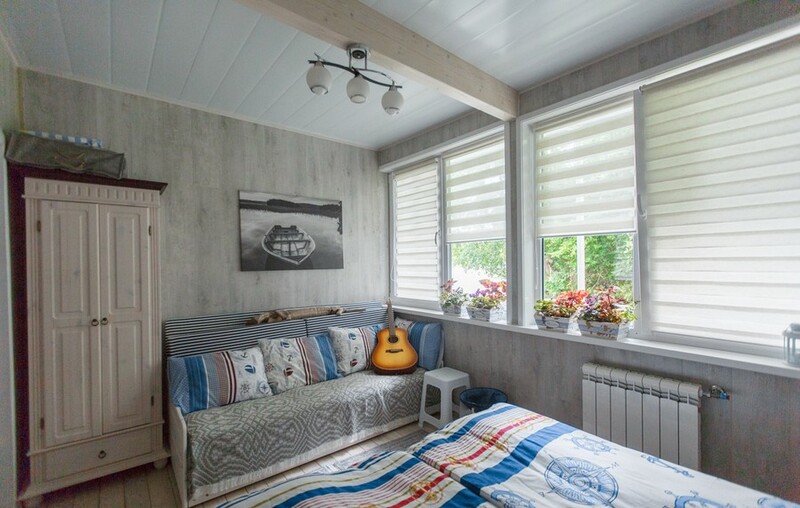 The house’s framework is built from larch wood, overlappings are made from SIP (Structural Insulated Panel) panels, and interior walls are faced with laminate. The house is motorized by two engines located fore and aft. 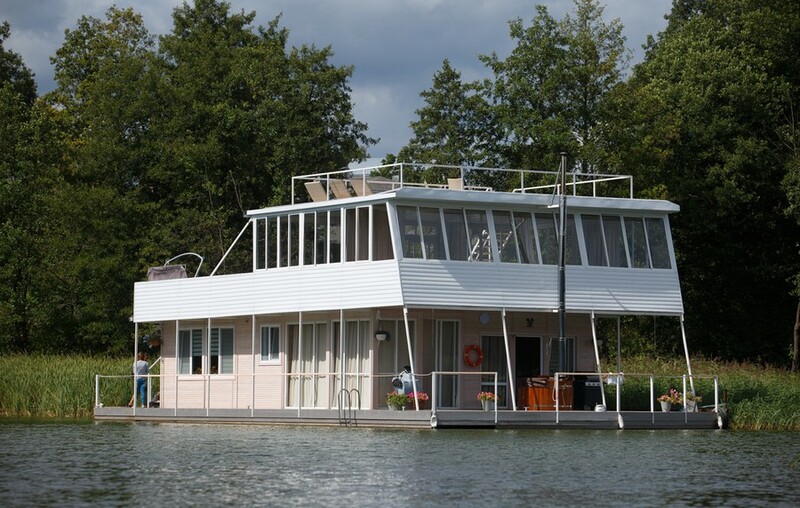 When the wind is too strong, the house is towed by a motor catamaran, since the house’s lateral area is quite big and motors alone can be incapable of transporting it. The total weight of the entire construction is over 60 tones. 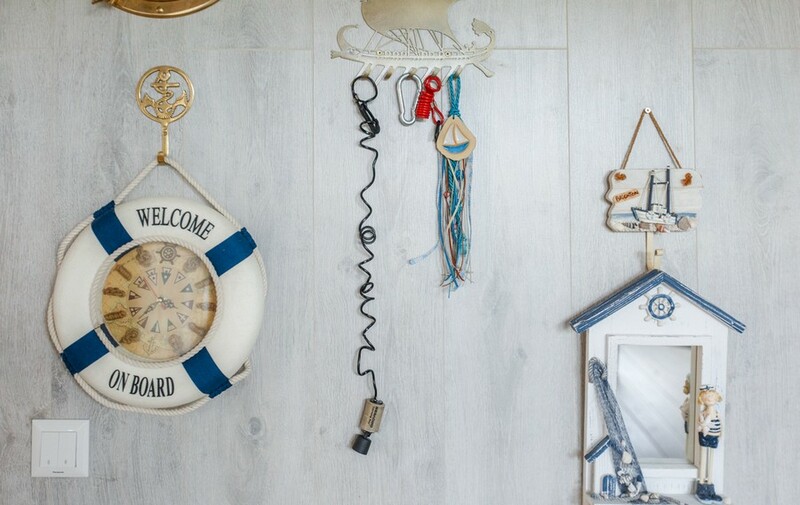 The master bedroom is designed with respect to all canons of nautical style. From the inside it’s a common suburban house with a very cozy interior. 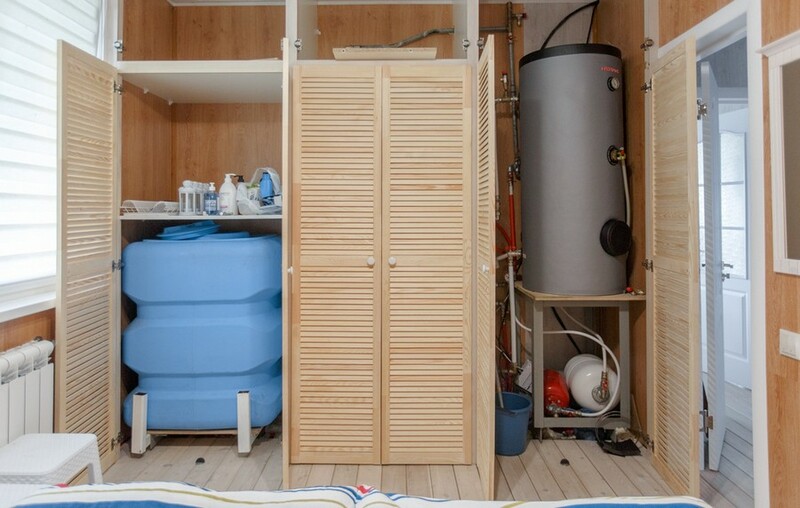 The wardrobe of one of the bedrooms conceals a boiler and a tank of drinking water. 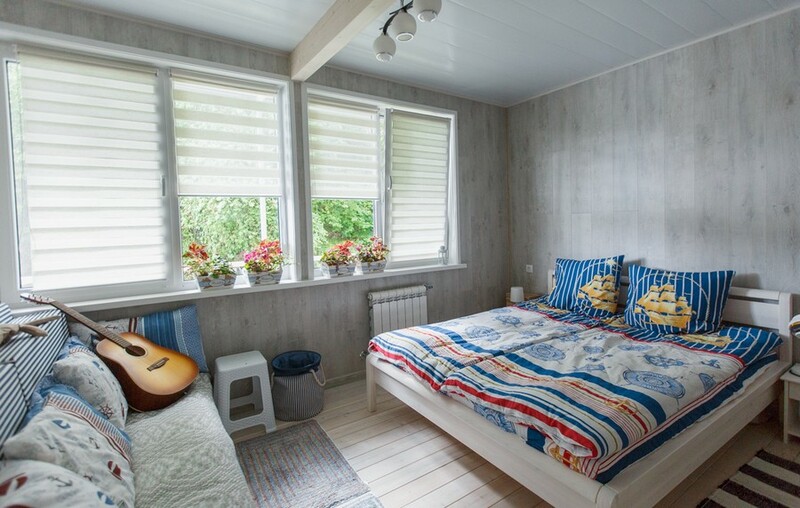 The kid’s room features a couple of bunk beds in the same nautical style and a serene color scheme. 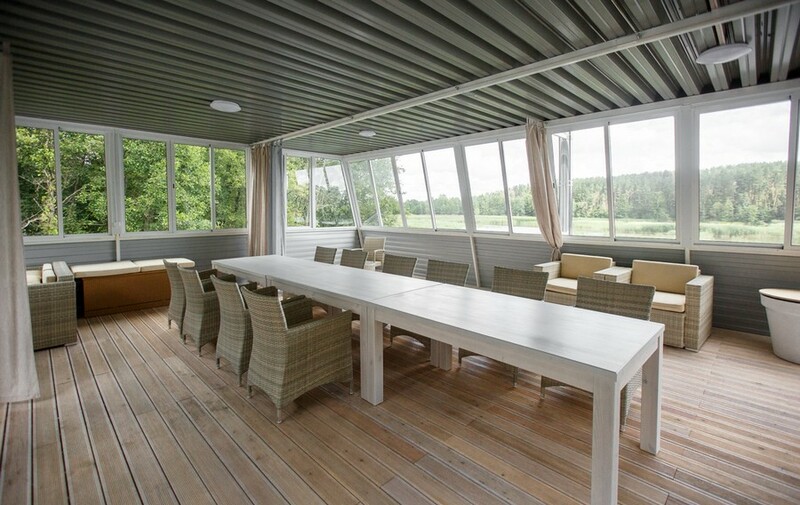 The open-plan kitchen and dining room has huge panoramic windows and a terrace exit (or it’s better to say an exit to the low deck). The kitchen is fully equipped: it has a refrigerator, a microwave oven, and a gas stove; in a word, everything required for cooking. Next to the dining area, there’s a compact lounge zone with comfy sofas. Comfort is impossible without a bathroom. 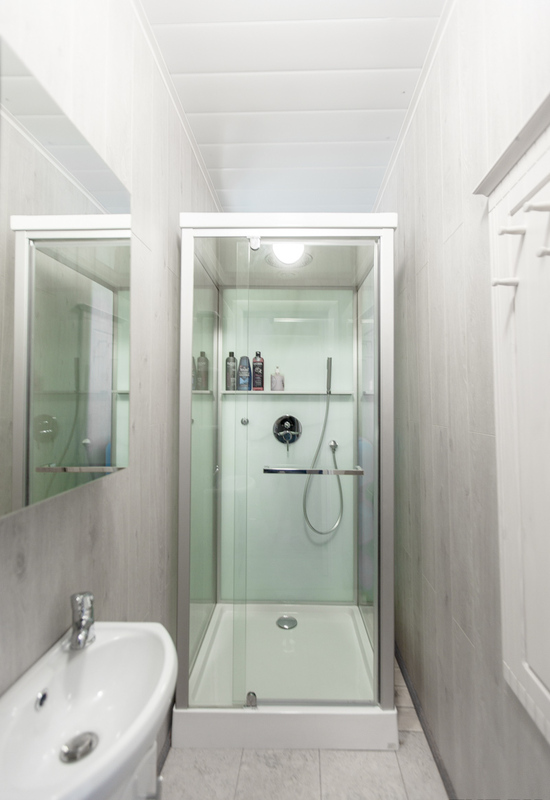 Here it’s equipped with a walk-in shower with hot water. As for the WC, it features a peat chemical toilet with a storage tank, the contents of which are disposed of on the shore. 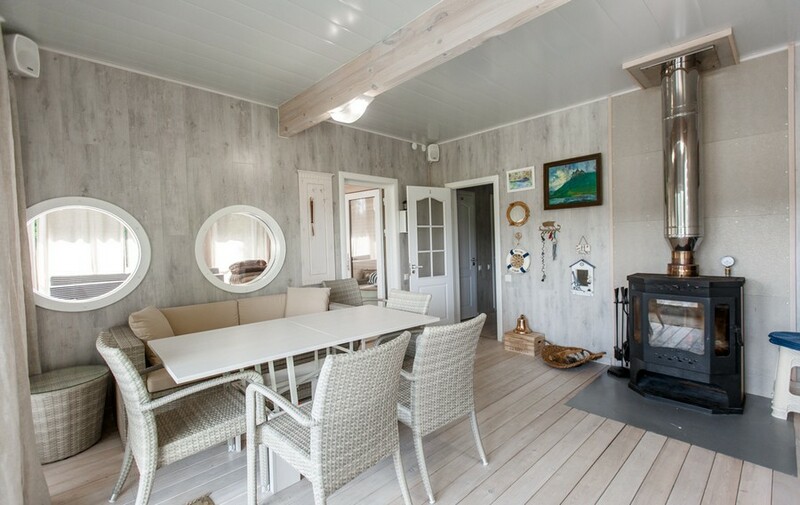 The fireplace is wood-burning and can operate as a dry-fuel heating boiler delivering heat to radiators. In fact, it’s possible to live here even in winter, if you fancy it, but no one has tried yet. As for the humidity, the owner claims that the air in the rooms is always dry. On the low deck there’s a barrel sauna. The second floor has the same total area as the first one. There’s a big dining room here reminding of a summer terrace of a café. These are the solar panels. 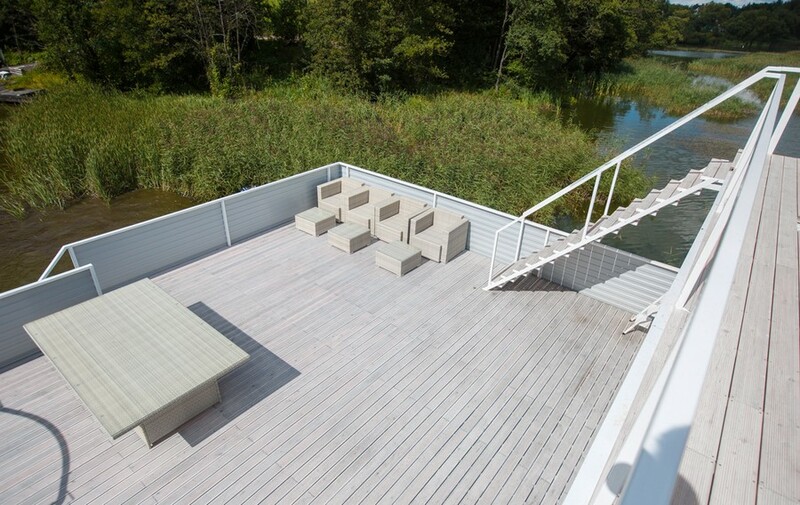 And finally, the upper deck is ideal for sunbathing. 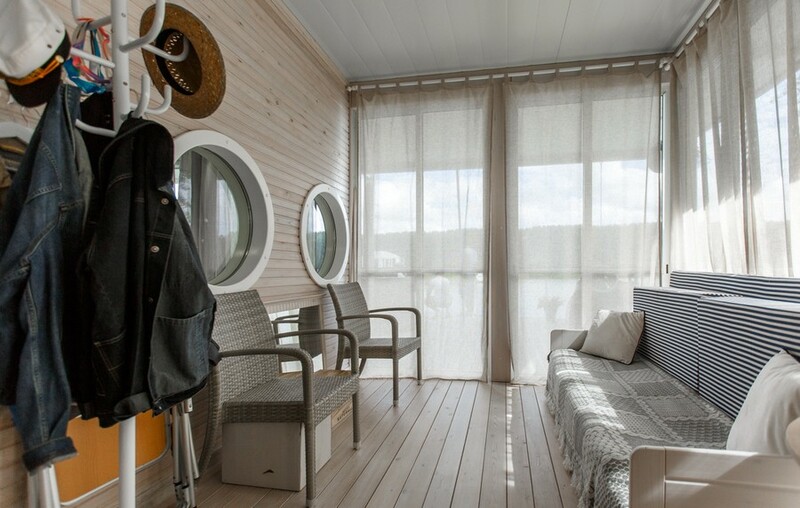 This houseboat has all the essentials for comfortable and independent living. The drinking water reserve amounts to 1 ton. Electricity is generated by a hybrid 3KW solar power station. In the absence of sunlight electric network is powered by batteries that have been charged in the sunny weather. 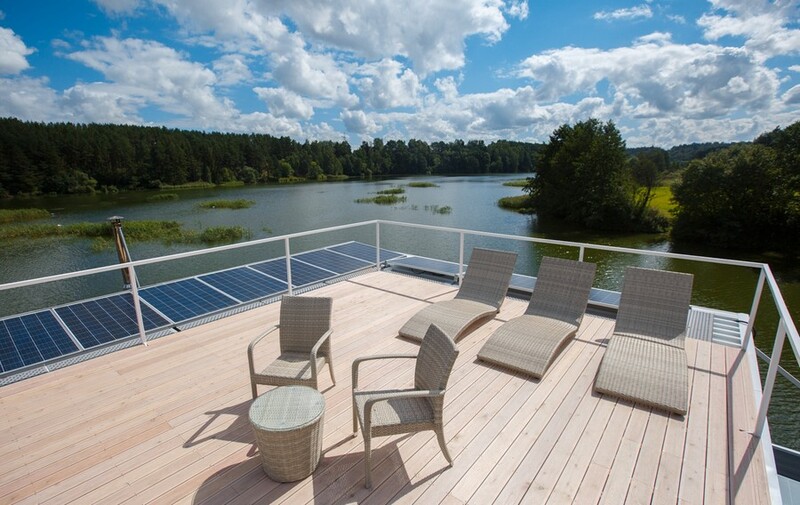 Actually, this house may do without land-based electric sources during the whole summer season.